Microsoft is keep on pushing Windows 10 update for millions of devices across the world. The company officially announced that 14 Million PCs have upgraded in first 24 hours alone, which is biggest Windows release ever. 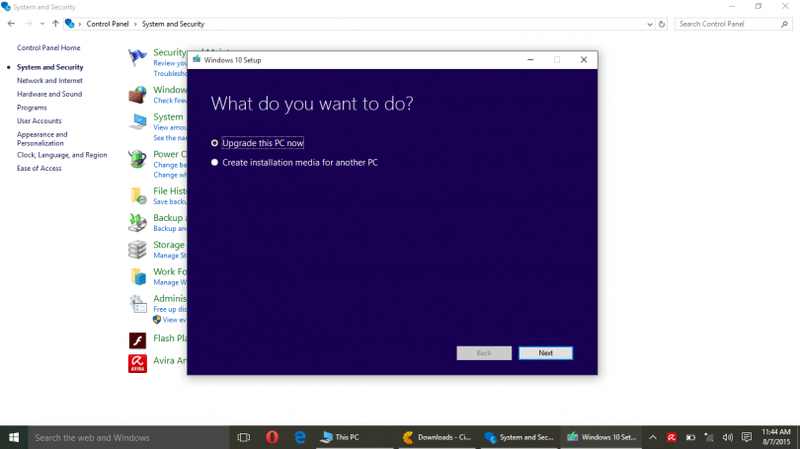 On the other hand, lot of people are still waiting to get updated, for those, we have come up with simple solution, which will allow all those people to install Windows 10 right away. The very first step is that back up all your files and data if in case anything go wrong, you can easily restore your data. If you are running Windows 7 or Windows 8.1, just head over to Microsoft Windows 10 download page. Then, check your Windows version whether it is 32-bit or 64-bit by right clicking on My Computer -> System Properties. According to the version of Windows, just download either 32-bit (download here) or 64-bit (download here) tool. Once you are finished with downloading, just run the tool. You will be greeted with three options: Keep Personal files and apps, Keep Personal files only and Nothing. If you want a complete upgrade with all your files and applications, make sure you choose first option. The second option will only keep your personal files and the last option will allow you to install Windows 10 with full wipe. Just choose accordingly and let the app do its work. After couple of reboots, Windows 10 will start installing. Note: If you’re on an Enterprise edition, the media creation tool won’t work for an upgrade. Please see the Volume Licensing Service Center.